Jet lag, sore legs, stomach issues—these are just a few things that could plague a fun-filled getaway. That’s why you should carry along both Peppermint essential oil and Peppermint Vitality essential oil for a little extra help along the way. It’s possible that travel issues such as missing trains or losing reservations at your hotel can almost ruin the whole experience; or maybe you’re 17 years old, in the middle of India with your friend, and you lose your passport. Not saying that’s happened … Let’s just say some Stress Away would have been helpful at the time. Keep this staple in your bag at all times! Traveling is simply an excuse to eat lots of food in a new place. If you’re gorging on churros and paella, empanadas and asado, or spicy curry, you’ll want some assistance. When taken as a daily supplement, DiGize Vitality , with its antioxidant properties and cleansing benefits*, will become your most faithful travel companion. Take DiGize along with Essentialzymes-4 before each delicious meal. Recycled oxygen on airplanes and shared living spaces in hostels can always use a quick freshening. Also, you’ll want to give your body general wellness support* to enjoy every second of your adventure. For best results, take the dynamic duo of Thieves® and Thieves® Vitality with you. Sometimes the best vacations push us far out of our comfort zones. That could include traveling to the other side of the world, swimming with sharks, or simply landing in a place where you don’t speak the language. That’s no reason for nervous tension or occasional sleeplessness to prevent you from having the time of your life. Keep Lavender and Lavender Vitality with you, and you’ll be ready to roll. Massage Lavender into skin with V-6 Vegetable Oil Complex after a day of sun bathing in Fiji. 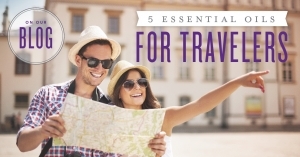 Most people who’ve heard of Young Living essential oils may be familiar with must-have essential oils such as Peppermint, Lemongrass, Lavender, and Frankincense. 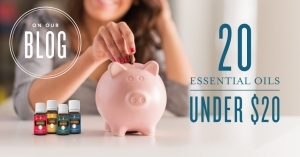 However, Young Living offers a plethora of products that even the most enthusiastic EO fans have never used or heard of, like Ylang Ylang essential oil. Each essential oil has beneficial properties that can support overall health and wellness, and familiarizing yourself with them can really diversify your healthy lifestyle. Are you confident in your knowledge of essential oils? Take the quiz to find out how much you really know! 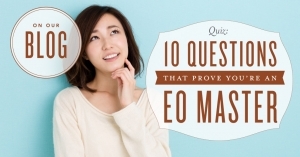 Did you master the essential oil quiz? Find out how much more you know about Young Living by taking our botanical and diffuser blend quizzes. What were your results? Share in the comments below.